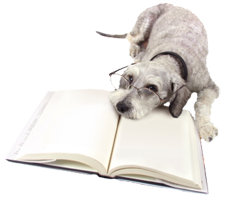 Animal Wellness Center is aware of the vast amount of information available on the Internet. Our team has taken the time and evaluated the following sites. We trust the information the listed websites provide to you, our client, and member of our family. Mary Argo consultations on animal wellbeing, their happiness and health. A good pet psychic. A fun site produced by the veterinary school at Washington State University. WSU Anatomy lets you virtually explore what's inside a dog or a cat. A collection of resources designed to help you through a difficult time. A great resource for keeping your pet out of trouble. Educate yourself. It may save your pet's life.